One of the many fascinating things about air travel, leaving out the sheer physics wizardry that is mankind getting huge hunks of metal up into the sky in the first place, is that most of the time no matter how much you’re failing to put up the facade of a functioning adult human, there’s always a worse example around. Struggling to steer a wobbly trolley? At least you’re not the woman getting told off by security for wheeling hers (complete with luggage) up to the check in desk and then abandoning it to hold her place in line so she can sit down 200 metres away. Crying softly at Gate 14 because your brain refused to leave you alone until you played a specific sad song which then made you very very sad? You’re in a better place than the man who decided watching the runway would be great entertainment for his two year old, only for kiddo to go nuclear with a meltdown screaming “Planes! Planes! Bye bye planes!” when it’s time to board. Accidentally sprayed too much perfume on at duty free and have to go wash it off because it’s making you gag? Well, you could be the girl in the loos who’s washing strawberries in the sink as if that somehow makes them safer to eat (top tip- this is a great way to get E-coli and spend your entire flight shitting). Airports provide a thorough and sometimes worrying cross-section of humanity, not unlike a felled tree showing a thick seam of deadly fungal infection. As was the case with the trains, I was not starting my journey in the best of shape. Stepping into the shower post-packing the night before I’d started having a strange paranoid panic episode where I became convinced that something was coming to “get” me. No matter how much I assured myself that I was safe, the flat door was locked, and there was nothing in here with me, I could not shake the feeling that a grey, fuzzy figure was waiting for me behind every corner. This sense of utter dread was not helped by the start of a cold that was working its way around my throat and chest, giving me the sensation that something was pressing on me and affecting my breathing. When I crawled into bed at 11 to wake at 6 I woke every hour, disturbed by my thoughts, my breathing, and the various throbbing sores on my toes. The Aeroflot flight from Bologna to Moscow was uneventful and included a meal I could eat which was a pleasant surprise because I’d forgotten to specify a gluten free meal. 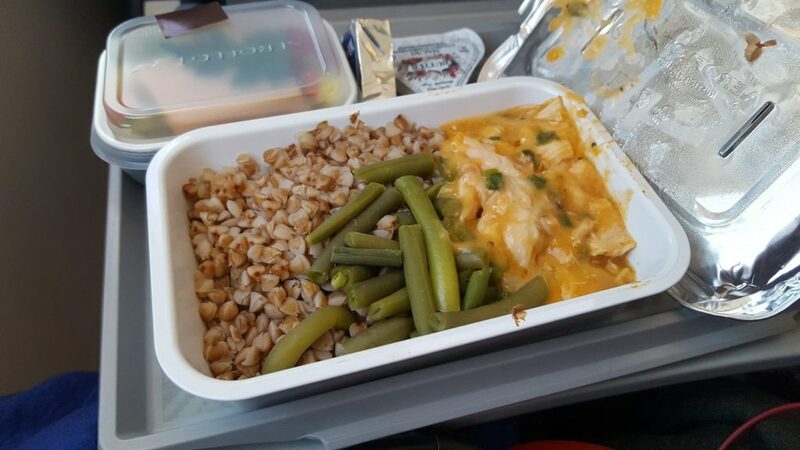 As much as I’m not fond of buckwheat or green beans it was nice to have a hot meal, and the passenger next to me generously shared her sachet of Chinese pickled vegetables with me. 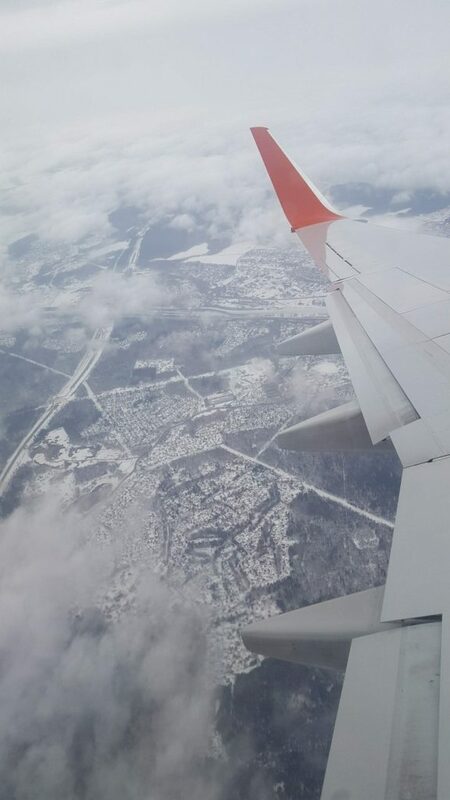 At Moscow a bus picked us up on the tarmac and drove us around in grey snow for half an hour. Most of the passengers seemed to be Russian, or Chinese, with the exception of a group of Scottish old boys discussing human and animal migration. “With the way the Tories’ environmental policies are going, we aren’t going to have any birds left”, said one of them. “With the way Brexit’s going, we’ll have to eat them all”, I thought. 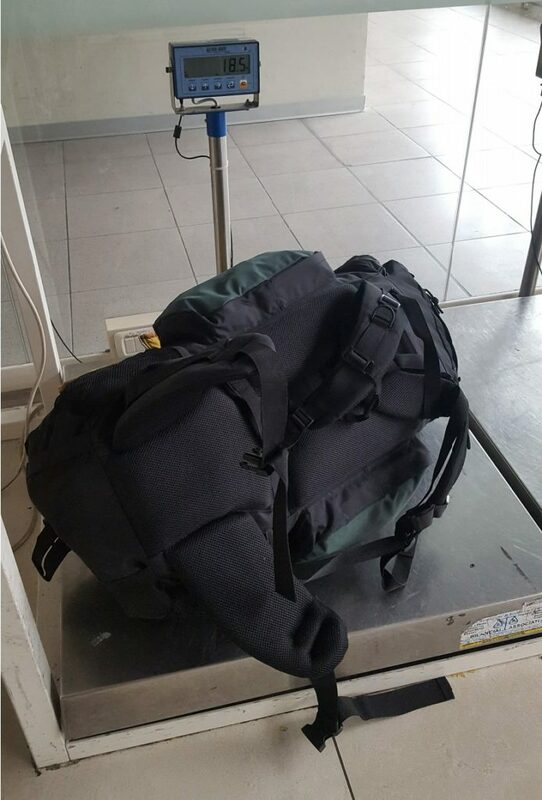 Despite going nowhere, we had to pass through passport control and a lighter form of security again (does anyone else have a worrying habit of nervously laughing when the passport guys do the thing where they look back and forth from passport to your face?). On the other side, Moscow airport opened up like an alien space port. I was surrounded by a language I couldn’t read, and goods priced in a currency I had no understanding of. Was 200 rubles a good price for a pomegranate? You might as well have asked me if 6000 Federation Credits was a fair trade for iridium booster nozzle. Even the kanji on my flight screen was different than the way I knew to write 東京. 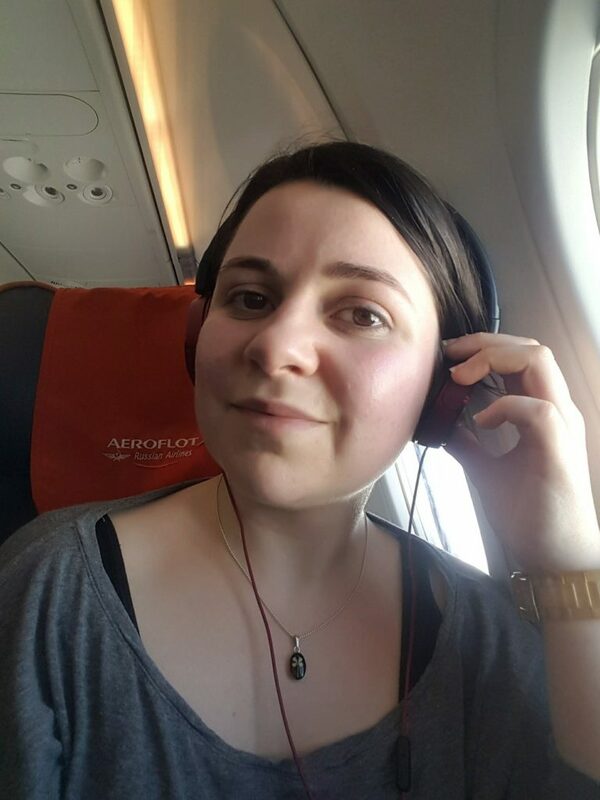 It was at Moscow, watching other passengers mill around in down coats and winter layers while I felt hot in a tshirt and loose trousers that I realised I was running a fever. Focusing on the memory of her walking down the metro platform at Gare du Nord as she open mouth coughed across me, I cursed the germ ridden Parisian with every magical fibre of my being. 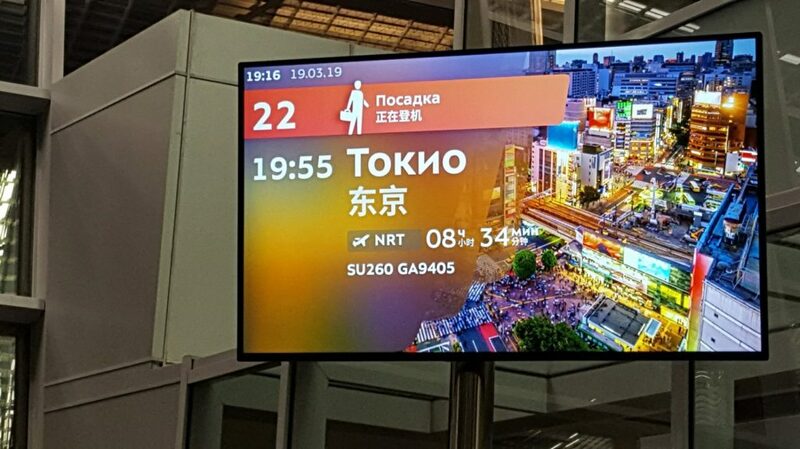 By arrival at Tokyo, I would have carried those same germs across four countries and two continents, achieving the status of Ru Raynor- International Disease Vector. One of these days I will be a responsible adult and pick the aisle seat on the plane so I can spend the flight chugging water without doing the cross passenger shuffle to the loo every hour. I will arrive glowing, refreshed and ready for the world. That day was not this day. Instead I sat and stewed in a light fever glow made worse by not wanting to disturb the Japanese teenagers next to me with bathroom breaks. 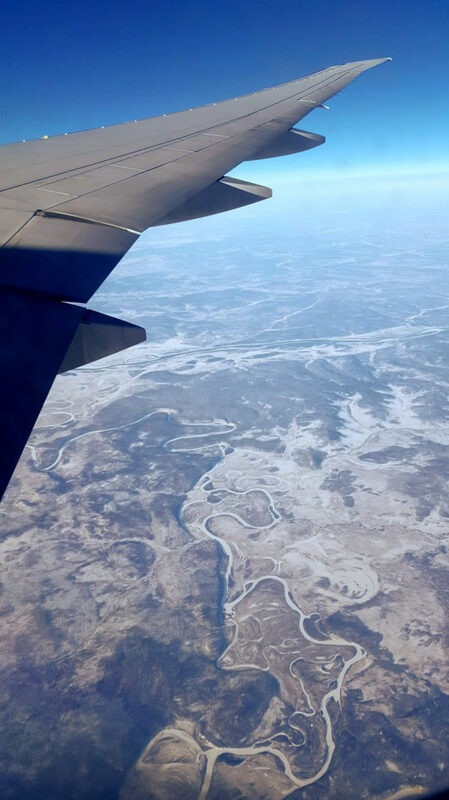 And I’m glad, because who could say no to a window seat with views like this? 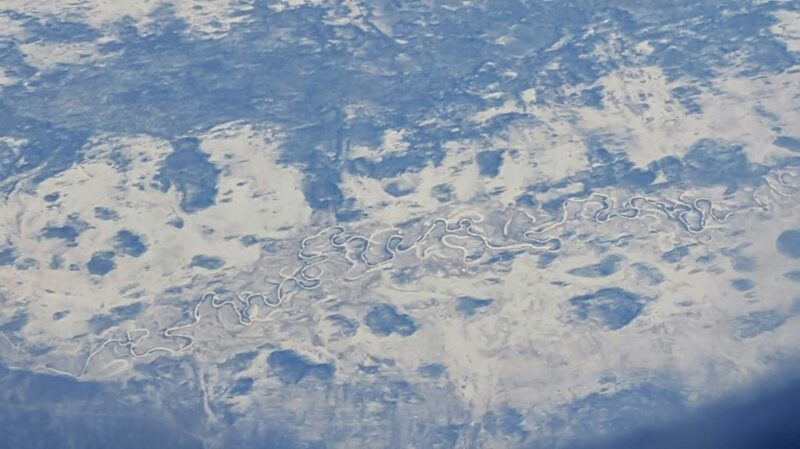 Across Siberia huge frozen rivers snaked back and forth along the landscape, their smaller counterparts wriggling like worm casts. How vast this world! Every so often I would glimpse what I though could possibly be human habitation, but it was never certain. Nothing looked like a road or a railway and the swirling snowy mountains stretched out like a wrinkled bedsheet for untold miles, the pines casting long shadows in the dawn light. There were no straight lines. Everything looked uncrossable and uninhabitable and unbelievably beautiful. 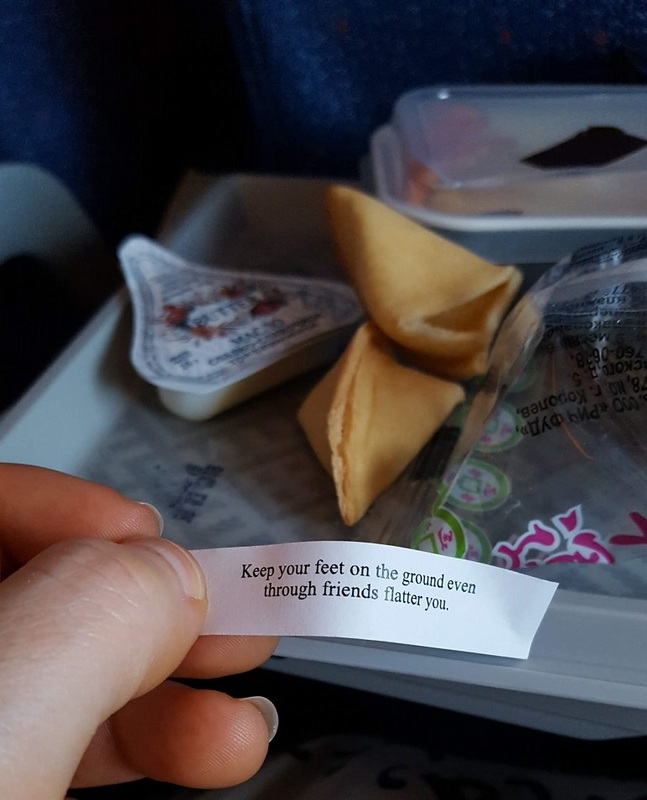 Somewhere over the sea of Japan, “breakfast” was served. The Japanese teenager next to me opened up her foil tray, sniffed it suspiciously, and then resealed it. I opened mine to find it full of mystery orange paste. Still full from dinner, which had been a repeat of the chicken and buckwheat with green beans from lunch, still running a mild fever, and imagining the language barrier between myself and the Aeroflot crew, I decided not to bother trying to work out what species it was and ate the sole cherry tomato in the strange little salad while I read the unseemly breakfast fortune cookie. 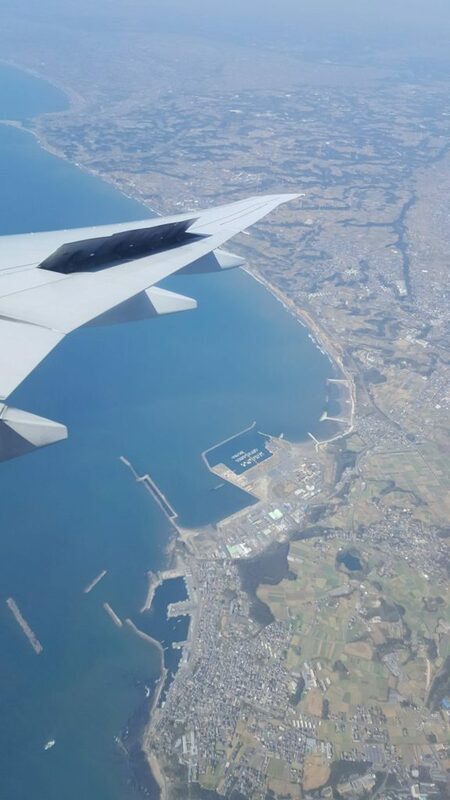 Eventually sea gave way to land once more and before long we were circling over Tokyo bay on descent into Narita. I said a little apology under my breath to all the villagers of Sanrizuka who lost their homes and farms to the tarmac juggernaut. 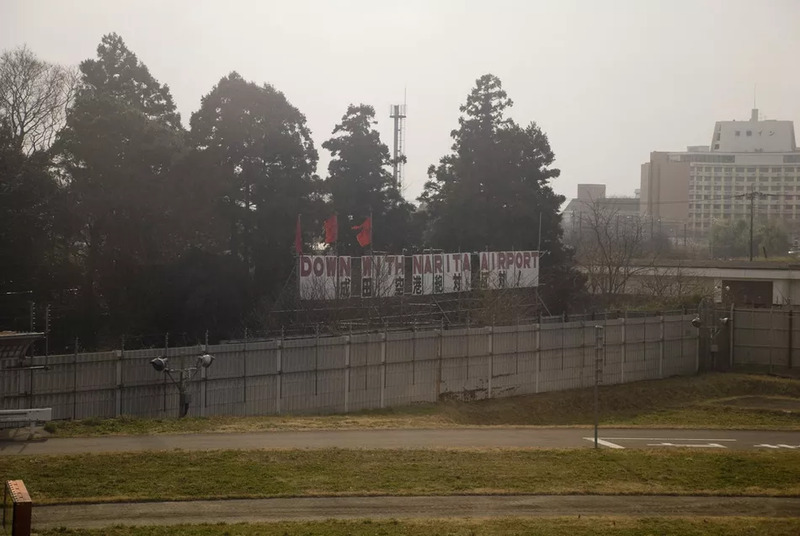 Right as your plane lands there’s a massive sign by the runway proclaiming DOWN WITH NARITA! in bright red letters, apparently on a plot still owned by a private landowner who refuses to give it up to the airport. I’d be lying if I said I didn’t think of the Heathrow Airport struggle in that moment; of my own village under threat I’d abandoned to run away to Wales, and wondered if humans would ever take the threat of environmental destruction seriously. But there was no time for wallowing in guilt over the impending climate chaos. Japan had a residency card with my name on waiting.